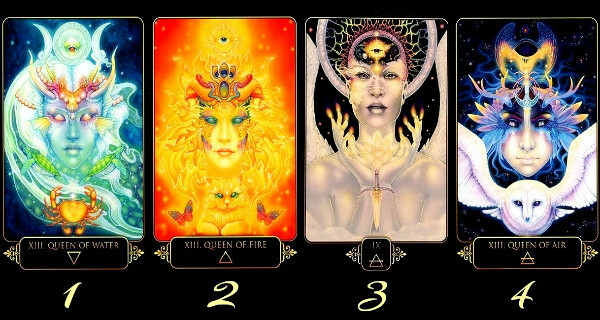 CHOOSE YOUR FAVORITE CARD TO FIND OUT WHAT YOUR SUBCONSCIOUS REVEALS ABOUT YOU! The card that appeals the most to you will not only reveal details about your subconscious, but it will also reflect an idealization of how you are doing in life. Remember that for it to work you must choose only one card, the one that attracts you the most or you feel some emotion for it and then read its message. To begin this test, you have to relax and take a deep breath, close your eyes and then examine the cards and choose the one that catches your attention. You have a soft and melancholy spirit, as well as a gentle nature. You usually feel the pleasure of beauty and you feel better when you are surrounded by your favorite things. Traditions and the past are also important to you. By choosing this card, you reveal that you like to do things slowly and appreciate all the small gifts and things in life, although you also have something of an adventurous spirit. Something new is coming in your life, and although you like to feel safe, you will feel very happy about that change. Like flowers in spring, it will soon blossom. Although you tend to remain quiet and silent, it’s time to have your voice heard more often. It’s time to say all those things you’ve been feeling, but never really said. You savor new adventures, new sensations, and new experiences. You are brave and bold, and you do not like playing little games too much. You have a very strong personality, you don’t get carried away by banal words and weak compliments, you are loyal and trustworthy, and you would never cheat on an important person in your life. Your choice of this card reveals that you usually enjoy good challenges, and you don’t care how hard it is for you to experience those challenges. You have always felt that something beautiful is waiting for you at the end, and you are right. Keep going up, and you will not be disappointed. Each and every time you are closer to your goals. Your courage is a source of strength for those around you, but you should also show them your softer side. Everyone needs it! You are a fairly relaxed person, with your feet firmly on the ground. You are humble and sincere and when people hurt you, you forgive and forget very fast and even smile willingly. While others bother their heads with even the smallest things, you find yourself in tune with yourself, humming your favorite songs. The choice of this card reveals that you are in a moment of transition, you are facing small changes, and soon you will see that they are for the better. There are curves and turns in your path, but you are a balanced person who can deal with everything that comes. Your calmness, energy, and warmth can be of help to those people around you. Teach them not to bother with things that don’t deserve much importance. You are a calm and reflective person, and your feelings are very deep. You prefer loneliness, although you do not oppose good company. Likewise, you are very sensitive and compassionate and you are always sincere. By choosing this letter, you show that you want something more than just shelter and protection, as well as that you are used to traveling alone in life. Do not be afraid to move on; your eyes will adjust to the change and you will end up finding the beauty you deserve.